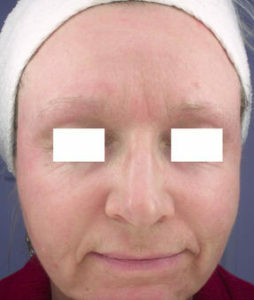 Fines lines and wrinkles are common concerns among men and women alike. There are a variety of treatment options available to help correct these concerns, and laser treatments have continued to evolve. 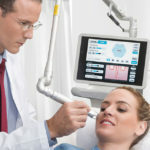 They provide excellent results for patients who wish to go the non-surgical or minimally-invasive route. The fractionated CO2 laser is the latest addition to Associates in Plastic Surgery’s arsenal to combat signs of aging in the skin. Treatment with the CO2 laser is designed to correct wrinkle lines on the face, neck, chest and other areas. The beam of the modern CO2 laser is fractionated, that is, it is delivered in a checkerboard pattern. This allows for quicker healing and lessens any possible loss of skin pigmentation. 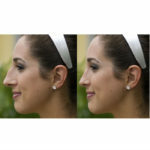 The CO2 laser is adjustable for both skin type and coloration as well as the anticipated downtime and long-term result. Treatments are designed for mild-to-moderate wrinkles, for changes in pigmentation and even for the correction of sun damaged skin. Evident over long periods of time is the reorganization of dermal collagen and a general smoothing of the skin with correction for irregularities. The procedure is generally performed under topical anesthesia- numbing agents are placed on the areas to be treated approximately 30 minutes before the treatment. Usually, pills are taken to lessen anxiety and relieve some discomfort. 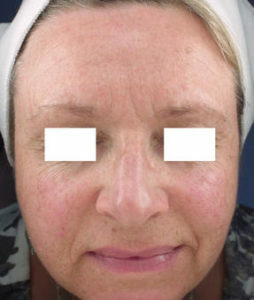 The patients are often prepped with topical Retin-As and hydroquinones to maximize benefit and prevent postoperative pigmentations at the edges of the treatment areas. The laser is scanned over this skin delivering a pattern as a checkerboard, literally drilling holes into the top layers of the skin, allowing healing about each of these drill holes from the areas between, bridging the gaps of the areas that are treated. Downtime depends on the depth of treatment. Typically, there is peeling and redness for 4 to 10 days. There is sun sensitivity immediately after the procedure, but there is minimal discomfort and patients can easily resume activity after a day or two as long as they are comfortable with their appearance. Topical antibiotics, as well as antiviral agents, are used to prevent postoperative complications, which have been seen to be minimal. Best results are seen in fair-complected patients with mild to moderate wrinkles or discoloration. If you are interested in learning more about CO2 laser treatment or would like to schedule a consultation to see if it is right for you, Contact us today to schedule your initial consultation!